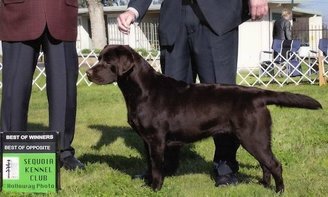 Summerland Labradors is dedicated to breeding English Labrador Retrievers of exceptional quality in Black, Yellow, Chocolate and Fox Red. 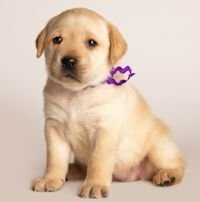 We pride ourselves on having a very select, well-planned breeding program, producing top quality Labrador Retriever puppies that you will be proud to own, and love to live with. All of the dogs in our breeding program come from excellent pedigrees, with Champion bloodlines. We actively compete in AKC Obedience, Conformation, and Hunt Tests with our Labrador Retrievers, and we have some of our Lab puppies that are currently in training for Therapy work as well. However, we feel that the most important job our Lab puppies have is bringing years of joy and companionship to their humans. 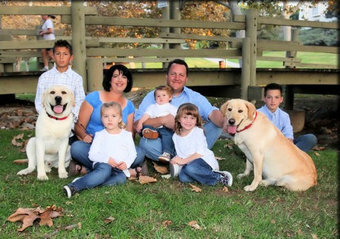 Summerland Labradors was established in 2008, and through selective breeding we strive to not only improve our own breeding program with every litter being better than the last, but our goal is to better the breed as a whole. 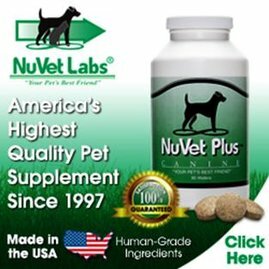 Our objective is to produce a Labrador Retriever that excels in all aspects of life and conforms to the highest standards of the American Kennel Club. Health and soundness is of great importance in our breeding program, therefore all of our adult Labradors have had their hips and elbows cleared through the OFA, have their hearts cleared, are PRA and EIC tested, and have their eyes cleared through a Veterinary Ophthalmologist before they are considered for breeding. Generally, we only have 1-3 litters a year, so we will occasionally have Labrador Puppies available as outstanding family companions. Our Lab puppies are lovingly raised in our home under the watchful care of our whole family; they are well socialized around children, different textures, surfaces and noises to ensure that you get the sweetest addition to your family. To read more about how our puppies are raised please visit our “How we raise our puppies” page. When you are ready for an incredible addition to your family, we encourage you to Contact Us to be notified of our next available litter, as our Lab puppies are often sold before they are born.